← You’ll Never Know Unless You Try. Wilshire Trails: My Favorite Running Spot! 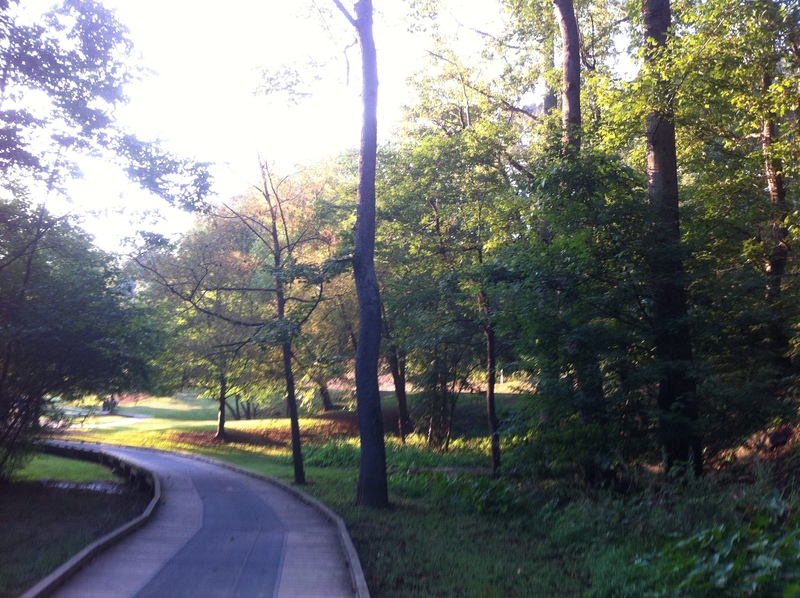 In week 19 of training, I was gearing up for my 20-mile long run. I put on the exact outfit I’d planned to wear for the marathon. I buckled on my running belt with energy gels and the whole bit. I was ready. It took a few miles for my muscles to loosen up, but my pace was steady and I was feeling pretty good. Around mile 8, I began to feel my I.T. band straining. I stopped for a few seconds to stretch it out, but I kept going. It helped a little, but the pain began to return. Somewhere in mile 9, I had a sharp shooting pain run through my whole upper left leg. I’m good at listening to my body, when to press through the pain and when to stop. This was definitely a time when I had to stop to prevent deeper injury. I don’t know if I pulled a muscle or had a minor tear, but I couldn’t just take some Advil and ignore it. I tested out the muscle a week later, but still couldn’t go more than half a mile before feeling the shooting pain start again. I had to come to grips with the reality I might not be able to run the marathon. Getting injured was depressing and disappointing. It was hard enough telling myself I might not be able to do this. Telling others was even harder. When anyone asked me how running was going, I just wanted to cry. I was losing hope each time I verbalized the truth. Right around the time of my physical injury, I took a pretty big spiritual blow, as well. It wasn’t anything I was expecting. The Lord showed me some stuff in a dream. I didn’t want to believe what He showed me, actually. It made me sick to my stomach to think it might be real. I hoped it was just a “weird” dream, but I knew it wasn’t. Sadly, with the busyness of my life, it was really easy to throw out a concerned prayer, push it aside, and ignore the reality of what God said for a few days. 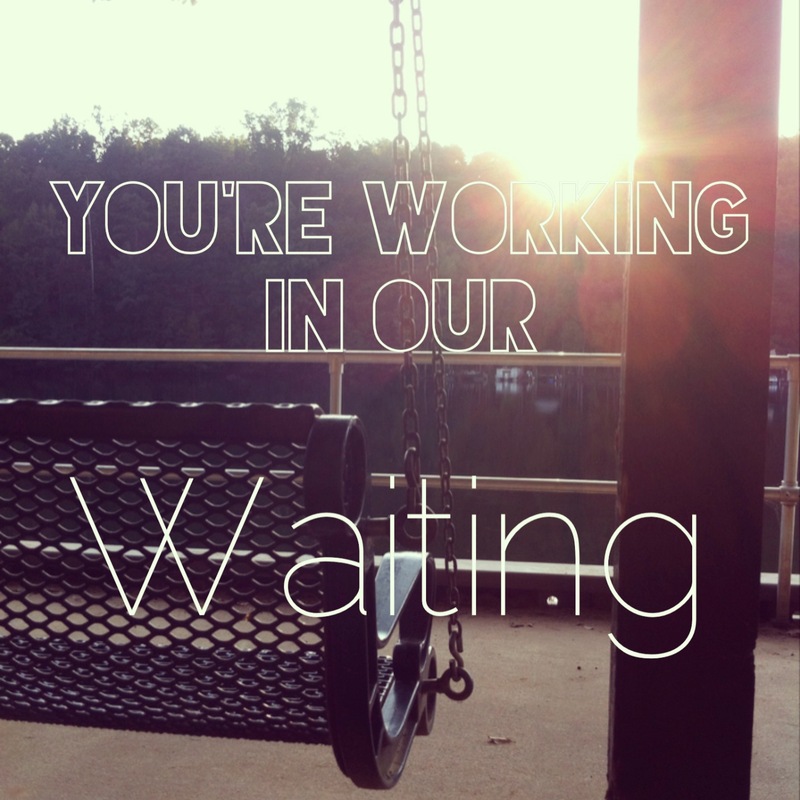 I called it “waiting on the Lord,” but it was rooted in fear. I didn’t know how to deal with it. I guess you could call that my mile 8, when I felt the strain but hoped it wasn’t as bad as it seemed. Mile 9 hit with confirmation it was true, so I had no choice but to deal with it. It was depressing and disappointing. I made the connection between running and my spiritual life pretty much as it happened. I had absolutely no idea how to deal with the spiritual stuff, but as I treated my physical injury, Jesus showed me the parallel. Like my physical injury, this wasn’t a moment for perseverance. I couldn’t ignore the pain and push through this one. I couldn’t fix it or make it better on my own. I had to stop moving forward and take time to process the situation with God. I didn’t know how long it would take. I didn’t know when, or if, it would be completely healed. But I hoped it would be completely healed. There wasn’t a magic prayer to make it all better. I couldn’t do anything but let His Presence be my hope. I had to trust God’s heart and His love for His children. I had to believe what the enemy meant for evil, God would work together for our good and for His glory. Mostly, I had to rest. Sometimes, the best way to fight a battle is to stop and let Him fight it for you. Are you fighting a battle that seems hopeless? Has something happened in your life that’s left you depressed or disappointed? Stop pushing forward and take time to rest and recover in His Presence. Find hope in the fact God is fighting for you.